TEMPE, Ariz. – Families are invited to come out to Tempe Town Lake on Tuesday, Nov. 21, as the trout make their annual Thanksgiving comeback. 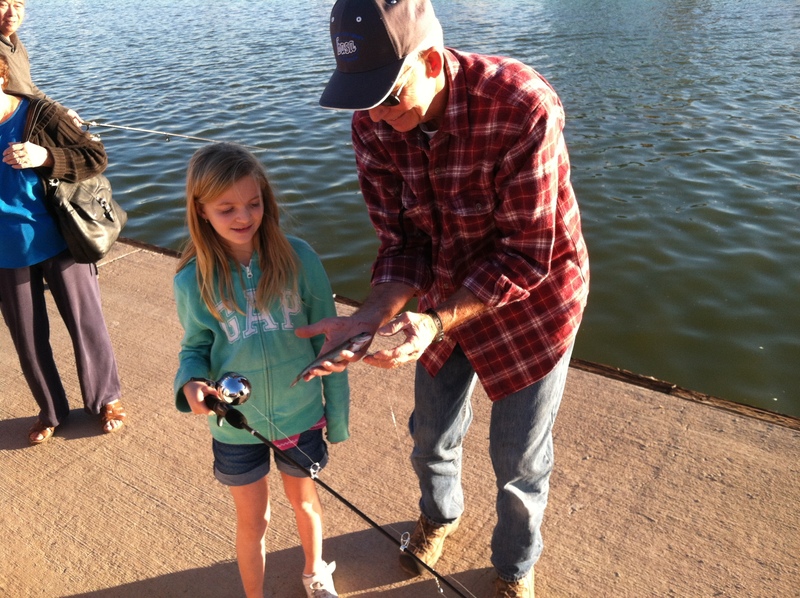 The City of Tempe and Arizona Game and Fish Department will host the free Welcome Back the Trout Celebration from 4-6 p.m. at the SRP Tempe Town Lake Marina. First, watch as rainbow trout from the Department’s Page Springs Hatchery and some larger bonus trout from a vendor are released. Arizona Game and Fish will then conduct a fishing clinic starting at 4 p.m. and provide anglers of all ages with loaner rods, reels and bait, as well as the tips and advice they need to try their hand at the sport. The trout, in addition to the abundant bass, bluegill, catfish, crappie and carp found in Town Lake, will provide fun angling opportunities for all. Attendees will also be able to fish without a fishing license during the event from 4-6 p.m. See information on obtaining a license for future use. See a map of Tempe Town Lake and the SRP Tempe Town Lake Marina.